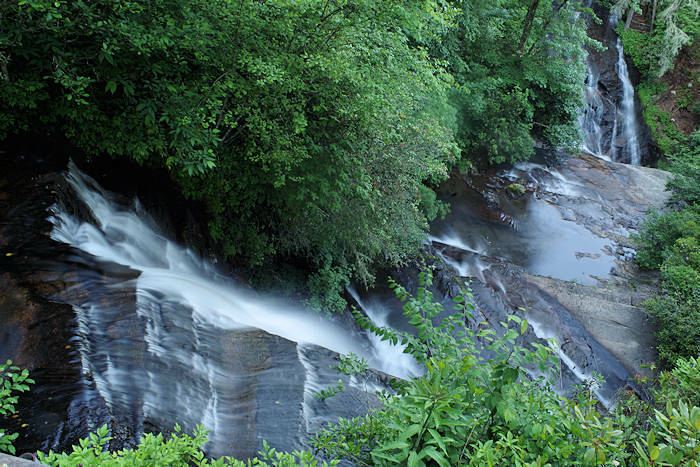 Connestee Falls is an 85-foot waterfall near Brevard. It's easy viewed from the top with a ADA-accessible 50-yard boardwalk to the overlook with the crest of the waterfall just to your left. 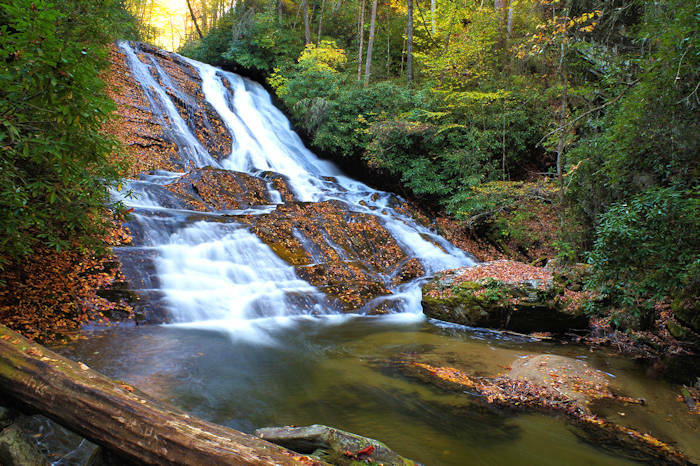 You'll also see Batson Creek Falls cascading across the ravine, meeting Connestee to form "The Silver Slip". Since the waterfalls are on private property, you cannot hike down for a closer look. 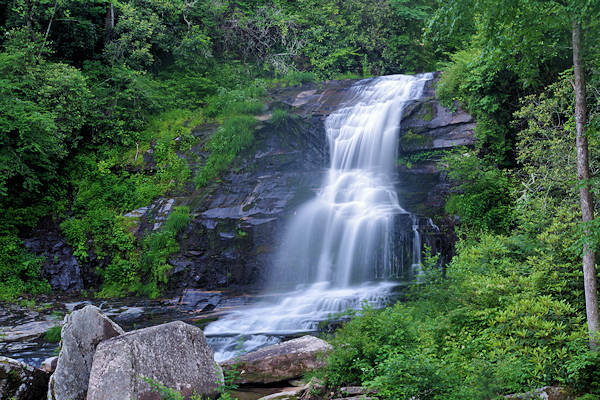 We appreciate the great work of the Conserving Carolina for placing a conservation easement on Connestee Falls in 2003. CMLC then facilitated its 2008 purchase by Transylvania County, who constructed the viewing platform and opened a public park in Spring 2011. Prior to that, the waterfall could only be enjoyed by homeowners in the private community. The small park is open year-round, every day. There is no admission fee. About six miles from Connestee Falls is this roadside beauty. It's on private property (a closed golf course), but you can take a quick peek from the road. From Connestee, take US 276 North back toward Brevard for four miles. Turn right on Wilson Road from US 276 and go 2 miles, then right on Glen Cannon Dr. It will be a half mile on the right at the creek crossing.